Daniel Shapiro, Q.C., C. Arb. Registered with the Law Society of Saskatchewan since 1979, Law Society of Alberta (1987- 2003), qualified Mediator since 1994, appointed Queen's Counsel in 1996. Awarded the Chartered Arbitrator (C. Arb.) designation by the ADR Institute of Canada in 2003, recognizing his expertise and experience as an arbitrator. In recent years, practice focuses on providing Alternative Dispute Resolution (ADR) services including arbitration, adjudication and mediation. I commenced my articles with Sam Beckie at the Saskatoon Legal Assistance Clinic in 1978 until the Clinic closed temporarily in July, 1978, at which time I completed my articles with Garth Sandstrom of Hnatyshyn, Sandstrom & Company, where I remained until 1982, practising primarily in civil litigation, when I commenced my own firm in association with Mark Brayford, which firm is known as Brayford Shapiro. 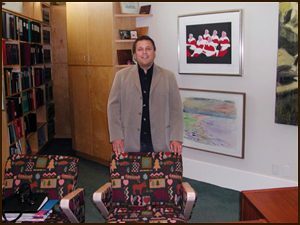 From 1978 through to the mid to late 1990's, my practice was primarily in the area of civil litigation, at the trial and appellate levels, in all Courts in the Province of Saskatchewan, as well as in the area of arbitration/mediation. Between 1987 and 2003 I was an active member of the Law Society of Alberta. I have also appeared before the Supreme Court of British Columbia, the Alberta Court of Queen's Bench, the Alberta Court of Appeal, the Tax Court of Canada and the Supreme Court of Canada, as well as before numerous administrative boards and tribunals. My litigation practice has been most heavily concentrated in the health law field, representing plaintiffs in medical negligence and personal injury litigation, acting as counsel in professional disciplinary and competency matters and in labour relations. Guest Lecturer at the Saskatchewan Union of Nurses Labour School, re: Medical Negligence, Fort Qu'Appelle (June, 1987), Waskesiu (May, 1988) and Regina and Saskatoon (February, 1989); Presented paper: "Profile of a Medical Negligence Action"
Stromberg at el v. Law Society of Saskatchewan et al. Porter Development Ltd. et al v. Cairns Homes Ltd. et al, March 29, 1983, Sask.C.A. Re: Mitchell's Gourmet Foods Inc. and United Food & Commercial Workers Union, Local 248-P (Bobowski),  133 L.A.C. (4th) 210"
Long-standing supporter of the arts, including the Mendel Art Gallery and the MacKenzie Art Gallery, sponsor of Saskatchewan musicians, founder of Michael Misanchuk Award of Excellence for Saskatchewan Elocution and Debate Society.